Breakfast with the Bat! 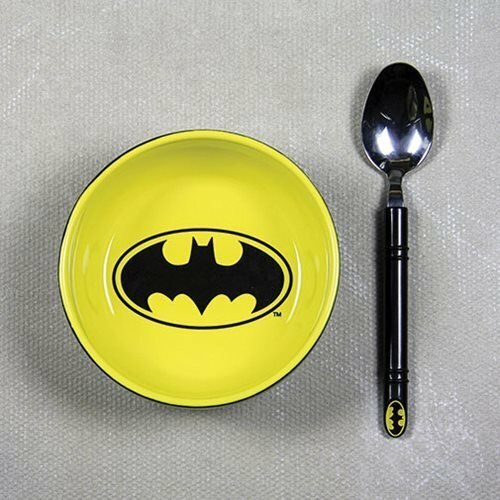 For a morning meal fit for a hero, choose this awesome Batman Breakfast Set that includes a 5 1/2-inch diameter bowl and a spoon. 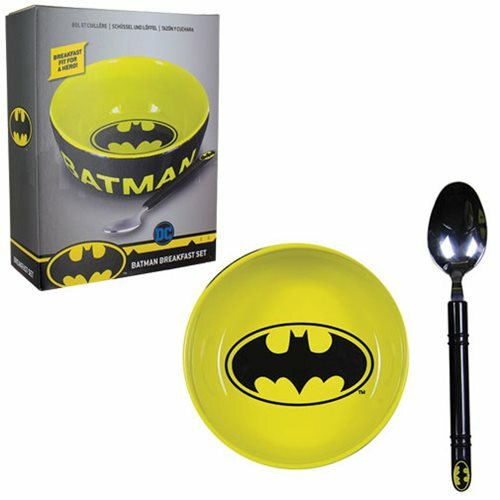 The bowl says "Batman" on the outside, and you'll find the Batman logo on the inside and on the spoon's handle. Hand wash only. Not dishwasher safe. Do not microwave.